A fresh rumor is trying to convince us that Apple is on a hiring spree in Israel, where the company's hunting for some talented engineers. What's interesting about this particular story is that Apple is said to be hiring former Texas Instruments employees to work on its system-on-chip technology. According to the source, Apple is hiring dozens of engineers to work in the Israeli cities of Haifa and Herzliya. The engineers seem to be coming from the Ra'anana location, where TI previously laid off staff. While working for TI, the employees in that locations have been working mostly on the connectivity aspects of the OMAP chips, such as the Wi-Fi radio, Bluetooth and GPS. 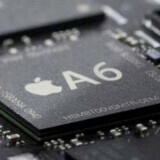 It is possible that Apple wants to boost the quality of these aspects of its own A-series of SoCs. Hiring some experienced former TI staff definitely sounds like a move in the right direction.